Two turned-back cuff options are included - ribbing or garter stitch. How can you help but knit a dozen little hats for babies in need? They are small and quick to knit, take little scraps of yarn and are so cute! These hats have been flying off my needles at the rate of almost one per day. 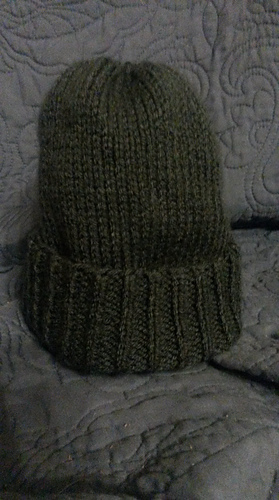 I knit dozens of hats each year to send to charities. 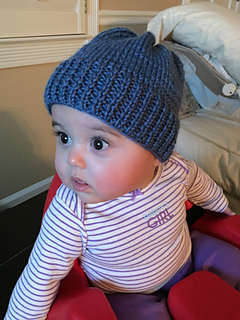 Here is a simple pattern that I have used over and over again for warm, cozy baby hats. This pattern was inspired by the June 2014 Baby Shower for Afghans for Afghans. Please consider donating to this cause. It is a people-to-people friendship project to give hope and comfort to the people of a war-torn country. Or make some hats for the charity of your choice.